Heart & Stroke is proud to partner with the North American tour of the California Wine Fair for a 26th consecutive year, where 90 wine producers will gather, allowing wine aficionados to explore and discover over 400 products. 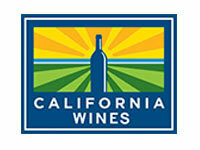 VIP Cocktail 6:30 p.m. to 7 p.m.
discover exclusive products from the best wine producers in California. Tasting: 7 p.m. to 9 p.m.
VIP Cocktail and Tasting 6:30 p.m. to 9 p.m.
Share with your relations! Your presence and generosity will help make this event a success! Thank you for supporting our cause, and we look forward to meeting you! We wish to thank Power Corporation of Canada for their contribution. * Heart & Stroke does not recommend drinking alcohol to reduce your risk of heart disease and stroke. If you choose to drink, follow Canada’s Low-Risk Drinking Guidelines.